While reviewing Charles Given’s new book From Main Lines to Logging Lines, I was struck by how similar his and my rail fanning experiences have been. I also remembered Charles’ major contributions to the founding of the GAZETTE. It seemed inappropriate to discuss these matters in a book review, so I decided to discuss them here. Charles and I both began taking photos of railroads in the late 1940s and early 1950s. Charles mentions in his book that he bought a 35 mm Kodak Retina camera in 1952, so he could take color transparencies. I also bought a Retina camera in 1952. Charles mentions that he shot black-and-white photos with a U.S. Navy surplus 4×5 Speed Graphic. I shot 3¼- x 4¼-inch negatives using an old Graflex camera. (You know, the one with the big hood that you looked down into.) However, I soon purchased an old Rolleicord, which used 120 film. (I was never able to afford a Rolleiflex.) That old Rolleicord did not even have a coated lens – so – I only shot black-and-white photos with it. I did not know Charles in those days, even though our paths may have crossed on fan trips. I know he was active in the Central Coast Railroad Club – I was not. 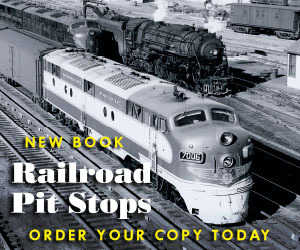 He also mentions in his book, that while he was leading a fan trip on the Sierra Railway, the locomotive derailed, and he had to get school buses to transport all the fans back to their automobiles. I never did that. I did not realize that Charles was in military service at the same time I was. 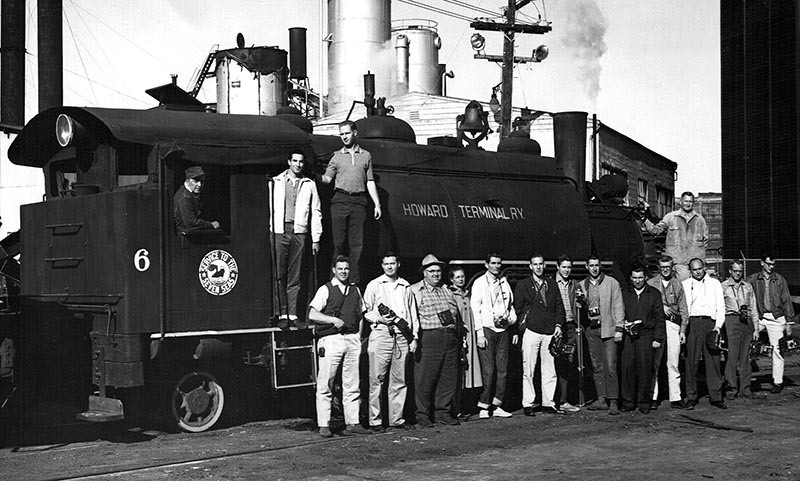 He mentions coming out of the service in 1958, and finding the “Southern Pacific’s steam” gone. I was discharged in 1957, and had found the same thing. While Charles had several careers; in the 1970s, he was a printer. One day, he phoned me to say he could improve the printing quality of my little FINELINES magazine. I told him to go ahead; and he really did improve the printing and paper of FINELINES. He even provided its one-and-only color cover. 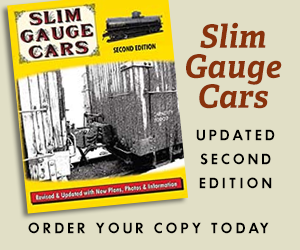 In 1974, when SLIM GAUGE NEWS ceased publication, Charles approached me about publishing it. I didn’t like the idea of my printer publishing what I felt was my main competitor, so I suggested we combine the two magazines into a new publication. So, Charles, his wife Nancy, and I flew to Denver, and discussed the idea of a new magazine with the SLIM GAUGE NEWS folks. 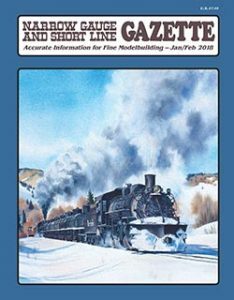 We agreed to call the new magazine: The Narrow Gauge and Shore Line Gazette, and that Charles would be the publisher, I would be the editor, and Jerry Hoffer, editor of the SGN, would be the Rocky Mountain editor. We hired Gordon Cannon to handle the artwork and advertising. However, Gordon was not the easiest person to get along with, and Jerry decided to leave. A little later Gordon decided to leave so he could re-activate his Cannon Scale Models. He successfully produced, and sold HO Diesel detail parts until his death. A bit later, Charles decided to leave, and went into the retail hobby shop business at The Train Shop in Santa Clara, Calif., staying there until his retirement. After reading Charles’ book, I found our similar rail fanning experiences, so long ago, brought back fond memories. I also remembered his important contributions in founding the GAZETTE. So, I just had to write something. Without him, this magazine would probably not be here today.